The internet can be educational and scientific. It can also commit to a media hideous lies and half-truths. And even outright fabrications can be passed on over the time immortal. Lies spread a lot faster than truth. I stumbled across a couple of such YouTube videos recently. And so I won’t post a link since it doesn’t need to be spread. The first was an outright idiotic diatribe against “fracking” the evil incarnate process demonized all over the internet. The date was about 2012 and Arkansas had experienced an outbreak of earthquakes that related to injection wells. The author, whom I won’t name made so many stupid comments, I cannot possibly state them all. The gist of his argument was that fracking fluids are toxic and contain radioactive minerals, and injection wells only inject these frack fluids. Further, the formations were under pressure and these fluids would release that pressure causing earthquakes, triggering not only local quakes but would ultimately cause the New Madrid fault to suffer a huge quake like the 1812 quakes. 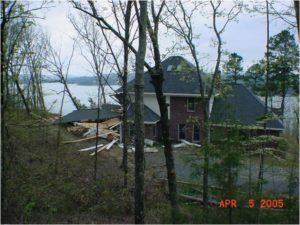 Proof positive in his mind was a small earthquake had occurred in the New Madrid zone only days after some quakes struck around Guy, Arkansas. Further, he claimed this “New Madrid Swirl” (yes, I spelled that correctly) were causing even worse quakes in Oklahoma 400 miles to the west. So let’s break this all down. First there are no radioactive fluids in frack water. Natural radiation is commonly associated with organic shales, therefore, some tiny amount of radiation above normal surface background may be present in some of the fluids returning from the surface. Radon gas, a potential hazard in homes, is a byproduct of this natural radioactivity. Again, it is normal in organic shales such as the Fayetteville, and so low dose no one is in danger from mere exposure to it. Exposure to radon as a gas may be a different matter. Injection wells do inject some frack fluids. But all wells tend to eventually produce formation water associated with the gas and oil in a given formation. Therefore, the vast majority of fluids injected into a disposal (injection) well are produced waters from wells. This water is usually salty ranging from heavy brines such as found in South Arkansas, or as much less salty formation waters. Some zones can be quite deep and still be relatively fresh. When working as a geologist I once encountered good fresh water at nearly 4,000′ depth. But usually by that depth the water is salty. The geologic formations near Guy are in no way connected to the New Madrid fault zone. Anyone with a smart phone can download an earthquake tracker and every few days for the past 200 years plus, one could expect a small quake along the New Madrid fault zone. They have nothing to do with quakes generated by disposal wells in Guy, which is nigh 200 miles southwest of New Madrid. Such speculation has no basis in fact, nor normally isn’t even a fantasy of anyone not on LSD. Then to expand that thought to include the similar swarm of injection related quakes in Oklahoma some 400 miles west? Insane. Speaking of which. What the devil is a “Swirl” when discussing earthquakes? It is not an engineering term, nor a geological term, and I can only conclude it is a creation of a person who has “lost it” as they say. What a dote. Next is the idea that sinkholes in Wink, Texas caused by oil wells and are in danger of opening a fissure into the magma chamber of some future volcano. I swear the same person who posted this must be the same guy as above with a different name. Geologically, the magma comes from deep, and a sinkhole is a shallow geological feature unrelated to volcanoes. Perhaps if a water aquifer is close to a well, it could be impacted, but wells are generally protected by casing well below the water table. Apparently however, there may be a leaking well or likely shallow injection. The sinkholes in Wink may be the result of injection of fluids at shallow depths which can dissolve the gypsum beds found in the area. But such activity, has nothing to do with creating a volcano. Volcanoes are not going to happen. Another video was a state geologist in Arkansas answering questions about the earthquakes in Guy, Arkansas. One question related to the landslides that have occurred in the region. The most notable landslide wiped out a house and was about four to five acres in size. But this occurred in 2005. I know. I was one of the geologists called to investigate the slide. The question was did the injection wells some 15 miles away cause the landslides. Nearby construction of a land development on a steep shale hillside created a number of small slumps of earth. 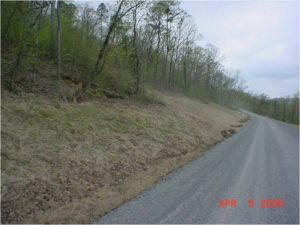 During construction, the owner of a five acre parcel at the end of the subdivision road asked her son to cut a trail down the hill to near the lake shore. In doing so, it created a line of weakness which was a large looping path at a low angle along the hillside and curving back below the house. After a long dry winter, spring rains began to soak into this weak shale layer. The hill shifted, and a couple hours later the entire block shifted house and all. At the time, the house was basically still intact except the attached garage which was demolished. Even the brick siding remained intact. After months of settlement, the house eventually crumbled the brick walls and disintegrated. Because this occurred before any wells were injecting fluids and only a few horizontal wells had been drilled, none with slick water frack fluids, the slide has no real possibility of being the result of injection. While an earthquake could set off a slide, it isn’t a clear correlation and at the time of the slide, no quakes were felt nearby. This was simply a case of weak shales being water saturated and slumping as the strength of the hillside gave way. Viewing aerial photography suggests that these slides in the region were common and many were ancient. While still in the grip of the Ice Ages, 20,000 years ago, these hills were barren of trees, unlike today. It was sub-tundra like climate and then torrential rains likely initiated many such slides. The state geologist ably defended that geological position, yet I had a sense that folks didn’t believe it. But you cannot have a 2005 event being initiated by an event that was in the future, and the wells injecting fluid were not only miles away injecting in a different geologic environment, they had not even been drilling and completed yet. Insanity prevails in the chaos of the internet, but for the layperson separating the wheat from the chaff is more difficult than merely looking at dramatic pictures and clever maps. It takes a little knowledge about the subject before judging many of these wild claims by non-scientists.